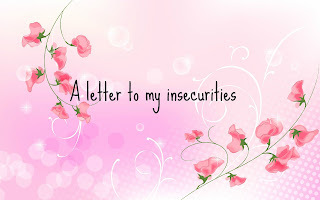 Little Thoughts From Little People: Foodie Fridays! Hey guys! 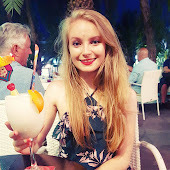 I want to introduce to you a new section on my blog which I'll probably only do like once every few months or so, but since I realised I talk about pretty much everything on this blog from beauty reviews and book reviews and music and my usual little posts to keep you guys going through the week I thought I might as well start a little food section! 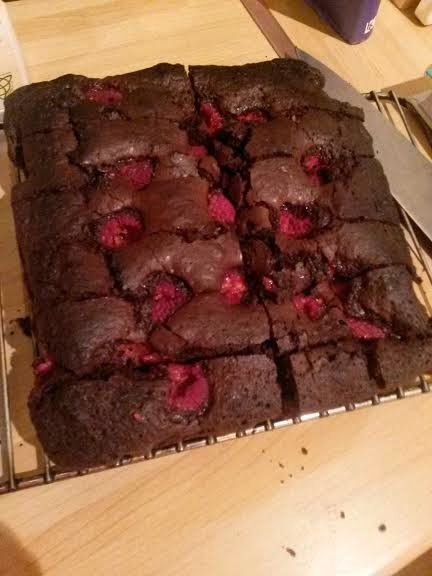 I made these raspberry brownies a few weeks ago and they were absolutely divine so imma share the recipe with you, the best part about them is they're totally low fat too which is awesome right! -Preheat oven to 180 degrees and lightly geese a 8in square tin with baking parchment. -Melt chocolate in a heatproof bowl over a pan of simmering water. When melted and smooth lift the bowl off and leave to cool. -Beat eggs, sugar vanilla, oil and a pinch of salt in a large bowl with an electric whisk (or normal whisk although it takes like forever and your hand aches) until pale and thick. -Sift over flour baking and coco powder, add the cooled chocolate and fold together.